Today’s commonly used man-made fibres are the result of developments in material science to improve on naturally occurring plant fibres. They are generally formed by extruding materials (often originating from petrochemicals) through spinnerets into air and water to form a thread. 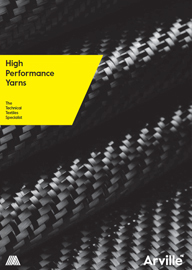 Man-made fibres are generally more durable than most natural fibres and offer a range of desirable characteristics which often make them suited to high performance and technical end applications. Polyester is a category of polymers that contain the ester functional group within their main chain of molecules. Polypropylene is a termoplastic polymer used in a wide variety of general applications. It is a derivative of the monomer propylene which is polymerised into a series of long-chain molecules. 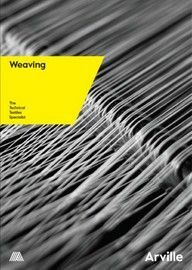 When spun into fibres it produces a lightweight yarn which is tough and flexible, having a smooth, ‘low energy’ surface. Modacrylic is a synthetic copolymer made from modified acrylic fibres. Acrylics and modacrylics differ in the proportion of acrylonitrile content – modacryclic has a reduced composition of approx 35-40% acrylonitrile bulked out with other polymers whereas true acrylic consists of 100% acrylonitrile. Modacrylics are soft, strong and dimensionally stable, having properties similar to acrylic. However, modacrylics are flame retardant and do not combust. Nylon is a generic designation for a family of semi-aromatic polyamides. Nylon poymers can be mixed with a wide variety of additives to acheive many different property variations. 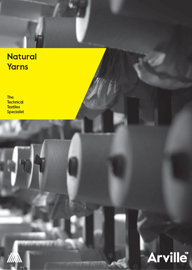 In yarn form, Nylon 6 and Nylon 6.6 are commonly used in technical textile applications. 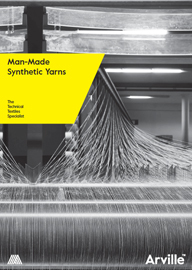 You can compare some of our most commonly used technical yarns in the table below. If you have any further queries, or are interested in a yarn not listed, please don't hesitate to contact us.